Join us on 8th March (Friday) from 12pm to 2pm at SOGO Malaysia, 5th floor Kitchen Tower. Chef Jason and Chef Alex will be whipping up healthy yet delicious food. 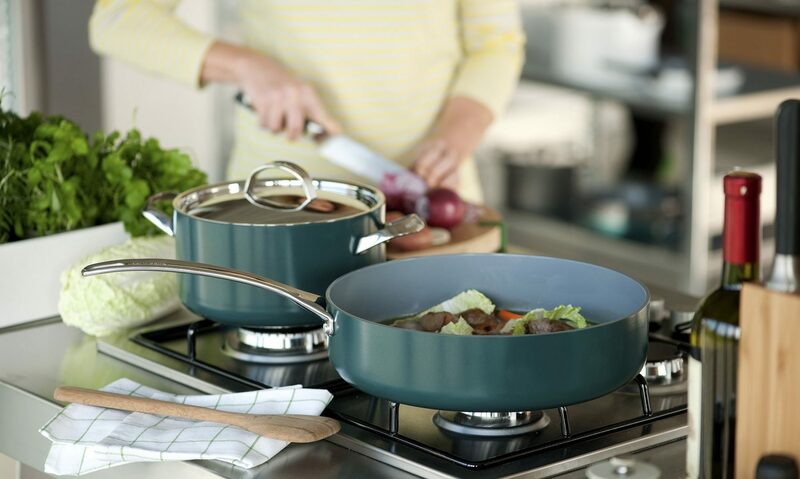 We will be sipping and tasting small bites as we learn about GreenPan’s healthy ceramic non-stick pans! What’s so special about GreenPan? *Limited seats so please reserve as soon as possible. Valentine’s Day is around the corner. Show your affection to a loved one by sending them a perfect gifts. 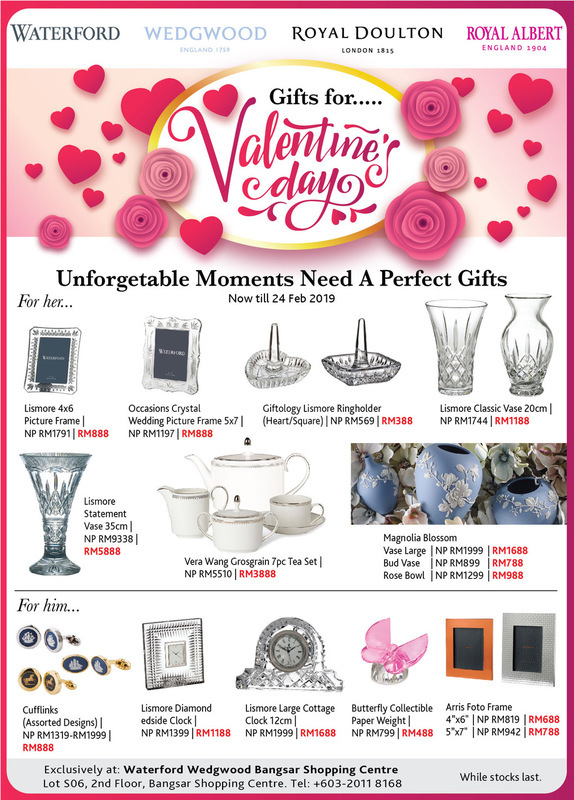 Therefore, we have selected some perfect and beautiful gifts under Waterford, Wedgwood and Royal Doulton range exclusively for him and for her. Amy is much sought after Chef and Culinary Consultant for her culinary skills. She has many feathers on her cap from celebrity chef to author of best selling cookbooks. Amy is renowned food stylist and food columnist with the STAR. She gas gone on road shows for companies promoting her culinary skills. Her culinary achievements bear testimony to her illustrious career. 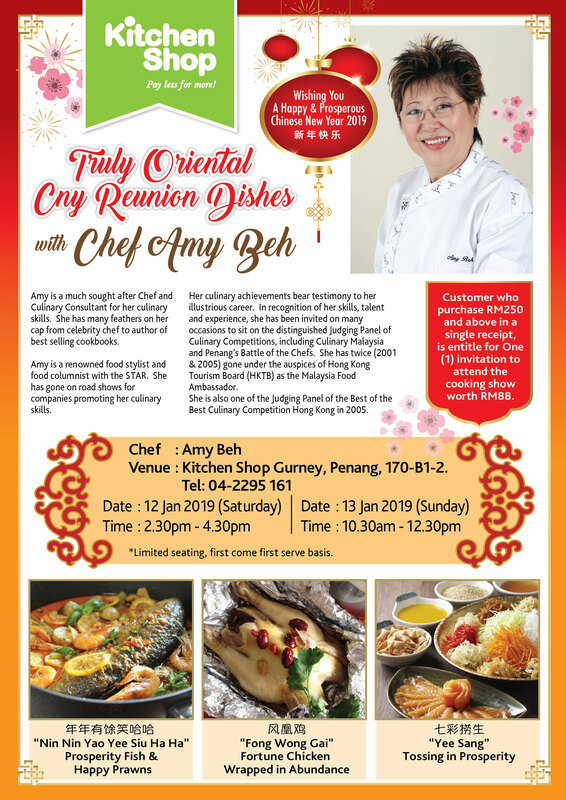 In recognition of her skills, talent and experience to sit on the distinguished Judging Panel of Culinary Competitions, including Culinary Malaysia and Penang’s Battle of the Chefs. She has twice ( 2001 & 2005 ) gone under the auspices of Hong Kong Tourism Board (HKTB) as the Malaysia Food Ambassador. She is also one of the Judging Panel of The Best of The Best Culinary Competition Hong Kong in 20015. 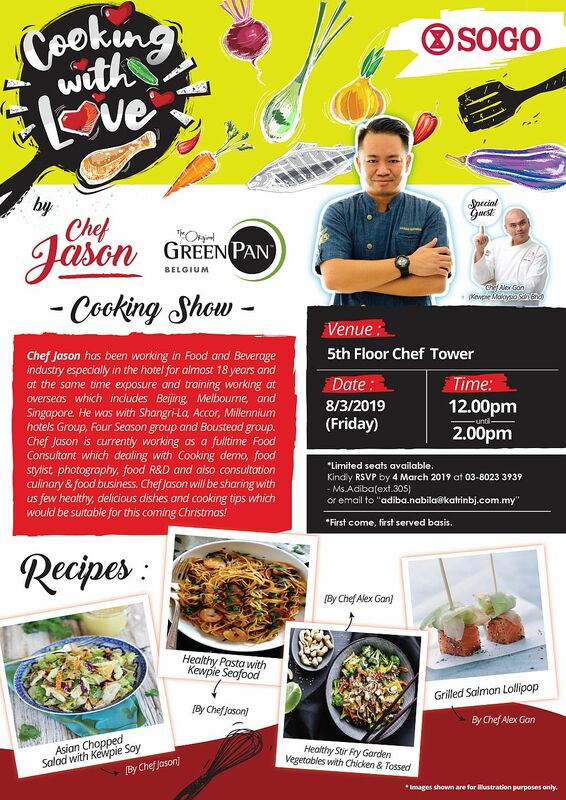 Customer who purchase RM250 and above in a single receipt, is entitle for one (1) invitation to attend the cooking show worth RM88 * Limited seating , first come first serve basis.